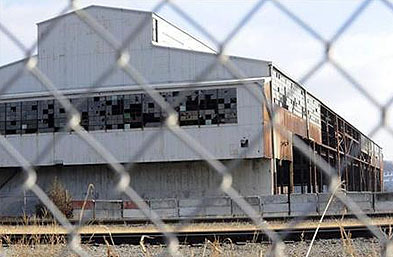 [In October 1993] Bain and its partners decided to buy the mill for $75 million. Bain put up about $8 million to gain majority control of the company, renamed GS Technologies Inc….Bain got its money back quickly. The new company issued $125 million in bonds and paid Bain a $36.1 million dividend in 1994. Workers soon found out what that meant. In April, GS said it was shedding the guarantees it had promised its workers in the event of a plant closure….The U.S. Pension Benefit Guaranty Corp, which insures company retirement plans, determined in 2002 that GS had underfunded its pension by $44 million. The federal agency, funded by corporate levies, stepped in to cover the basic pension payments, but not the supplement the union had negotiated as a hedge against the plant’s closure. Some investments don’t work out. That’s the free market for you. But does it seem right that Bain and its millionaire investors made a pot of money even though GS went bust and its workers lost a big chunk of their pensions? Maybe it does to Mitt Romney, but I imagine the rest of the country may feel a bit differently about it.